3 BHK Apartments for Sale in Sarjapur road! 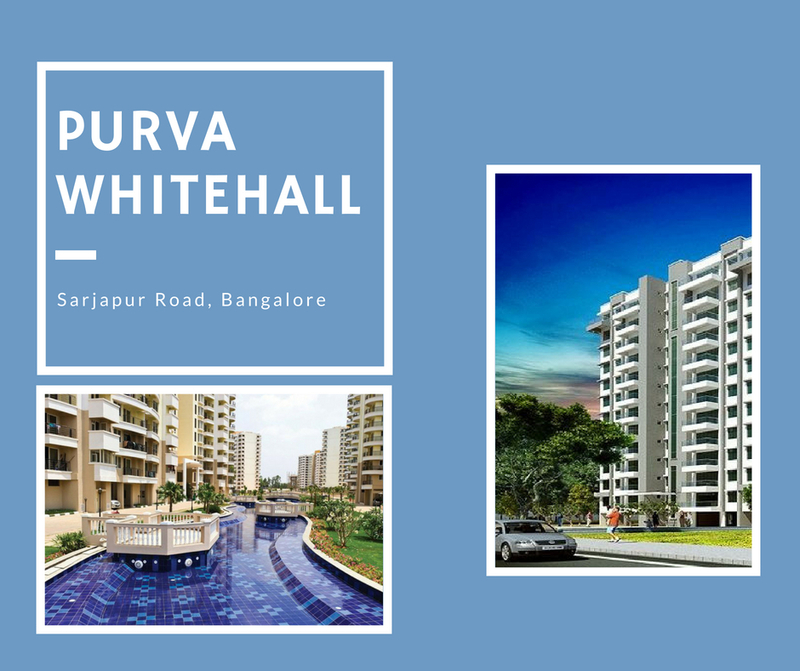 Purva Whitehall is a luxurious gated community being developed by Purvankara Group. Developed over 2.7 acres of prime land at Sarjapur Road in Bangalore the venture aims to be a benchmark in the realty development of the area. A total 4 blocks with basement and stilt plus 12 floors are being constructed in this campus. You can choose from a total 192 units available in various configurations of 3 and 4 BHK sets. The 3 BHK apartments in Purva Whitehall are offered in sizes of 1936 sq.ft. and 2024 sq.ft. and the 4 BHK apartments are available in sizes of 2359 sq.ft. and 2425 sq.ft. These abodes have been keenly designed for optimal usage of space with every provision for proper ventilation and ample natural lights. Furnished with top-quality fittings and fixtures these apartments have a 24*7 water supply along with power backup facilities. These flats for sale in Purva Whitehall can be acquired at prices starting at Rs. 1.50 crores. The housing composite has been enveloped in a pristine greenery. Developers have offered wide open green spaces for public usage. Amenities offered to the residents of these units include, well-equipped clubhouse, lovely gardens, CCTV surveillance, car parking, gymnasium, swimming pool, and much more. Surrounded by a well-developed social infrastructure and various commercial zones, the project site is a sought after residential location. It is well-connected to the nearby areas through Sarjapur Road and various other arterial roads.